Subject combinations offered at this College prepare students to enter engineering and medical colleges, or set students up in the pursuit of higher education in the liberal arts or pure science; as well as computer studies accountancy and management faculties. Advanced Subsidiary Level General Paper remains a compulsory subject, irrespective of the group of three principle subjects. We are fully dedicated to providing the highest level of education which is demonstrated by the provision of seasoned faculty members, world class infrastructure and a friendly and nurturing educational environment for our students, whilst still ensuring an independent learning environment. We uphold a personalized approach to education where each student’s work is carefully monitored and evaluated to help ensure their success. Cambridge Assessment International Education AS and A Levels are internationally benchmarked qualifications providing exceptional preparation for the commencement of a university education. The Advanced Level is the ‘gold standard’ of Cambridge International Examination qualifications. Students receive a qualification equivalent to that granted in the UK. The qualification is accepted universally as an entry requirement for universities, including those in Nepal. Studying for A Levels qualification is rigorous and demands a high academic standard of achievement. BMC’s programmes offer highly flexible subject combinations. Students may choose any combination from the wide choice of subjects that suit their interest and aptitude. An A level course requires students to be creative and analytical. The AS and A Level final examinations are held twice a year in May/June and October/ November, the results of which are published in August and January respectively. Students are expected to take at least four subjects including English General Paper. They may take more than the required credits depending upon their interests and capabilities. Students are assessed on a grade scale from A* awarded for the highest level of achievement, to E indicating the minimum required performance to constitute as a pass. U stands for ungraded which is a fail. Students who have taken the SEE/GCSE/CBSE or equivalent exams at the time of admission can apply. The main requirement is a sound academic ability to fulfill the rigours of this challenging programme. British Model College uses a comprehensive evaluation system to select a highly motivated group of students to join the programme. The College offers scholarships to highly meritorious but financially restricted students. There are a limited number of scholarships for deserving candidates. studying and communicating in English. Subject choices offered at this College prepare students to enter engineering and medical colleges or pursued higher education in the liberal arts or pure science, as well as computer studies, accountancy and management. Advanced Subsidiary Level General Paper, which is English, remains a compulsory subject irrespective of the group of three principle subjects students may have elected to study. Students who have taken the SEE/GCSE/CBSE or equivalent exams at the time of admission can apply. The main requirement is a sound academic ability to fulfill the rigours of this challenging programme. 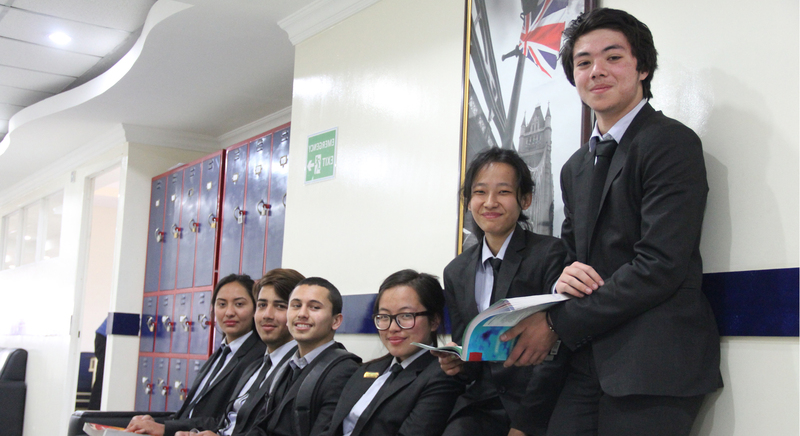 British Model College Kathmandu uses a comprehensive evaluation system to select a highly motivated group of students to join the A-level programme. IN ADDITION, ALL students MUST pass the British Model College A Level Entrance Exam, held in the college building Thapathali, Kathmandu. The College offers various subject combinations to fulfill requirements and to prepare students for university studies, i.e. science, medical, engineering, business and liberal arts.